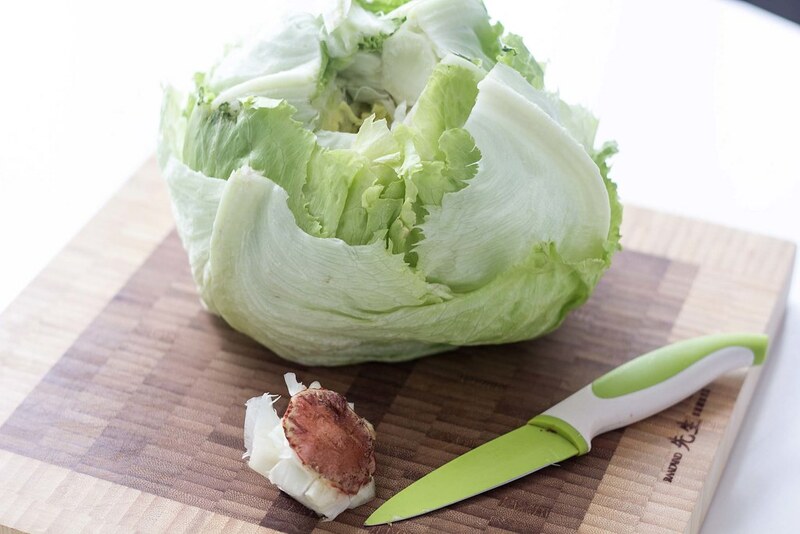 This is a simple but effective guide how to clean and cut iceberg lettuce very easy. 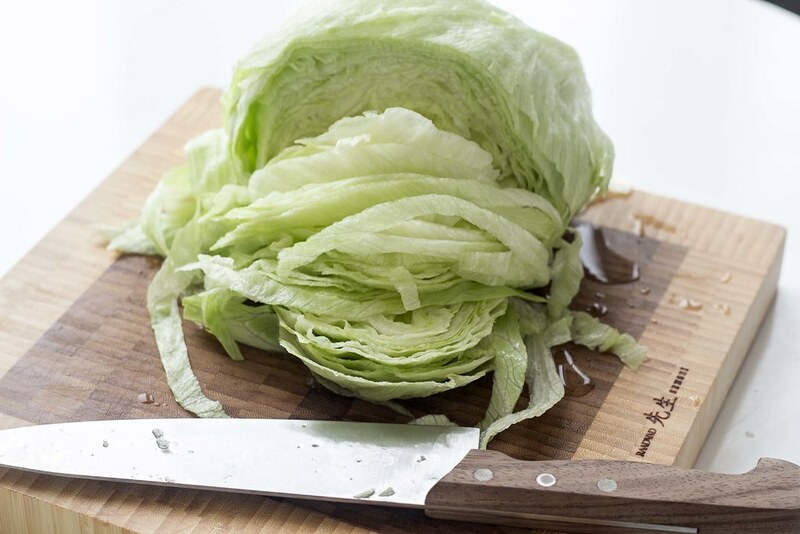 Iceberg lettuce is nice and crisp, and is perfect for a hamburger or a tortilla wrap. The iceberg you can buy at the grocery store is normally plastic warped so that it’s protected from most dirt during transport. In general iceberg doesn’t contain much dirt, but iceberg are grown directly on the ground and may contain some dirt that you need to wash off before you can use it in your food. Using this guide it only takes about 2 minutes to wash and cut an entire iceberg. Step 1: If the iceberg has some bad leaves on the outside, start by removing these. Step 2: Turn the iceberg over and make a circular cut around the root/core. 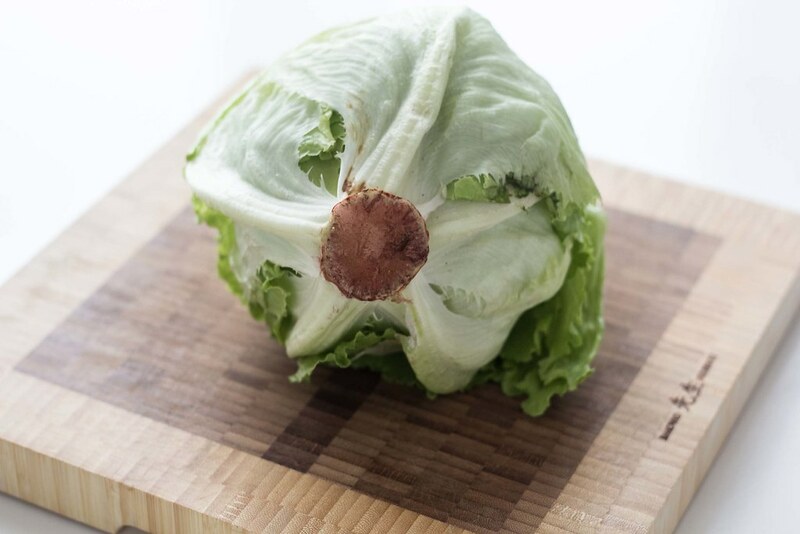 Take out the core and widen the hole by breaking the lettuce from the center and out. Step 3: Turn on the water and fill water inside the iceberg through hole where the core was. Step 4: When the iceberg is filled with water (it can contain a lot), shake it a little and then flip it over and let the water run out. Step 5: Let the iceberg drip off a bit before you cut it on a chopping board. Step 6: If you think the lettuce is a bit wet, then use a salad spinner to dry it. 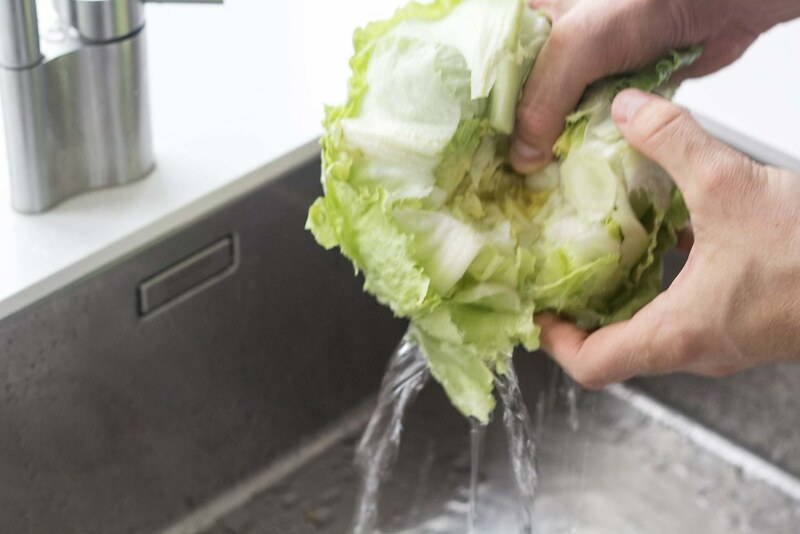 How-To’s for washing and preparing the lettuce before chopping are thorough. Unless I’ve overlooked them,, this How-To doesn’t include instructions about actually chopping the lettuce. I don’t have a salad spinner. I use paper towels. 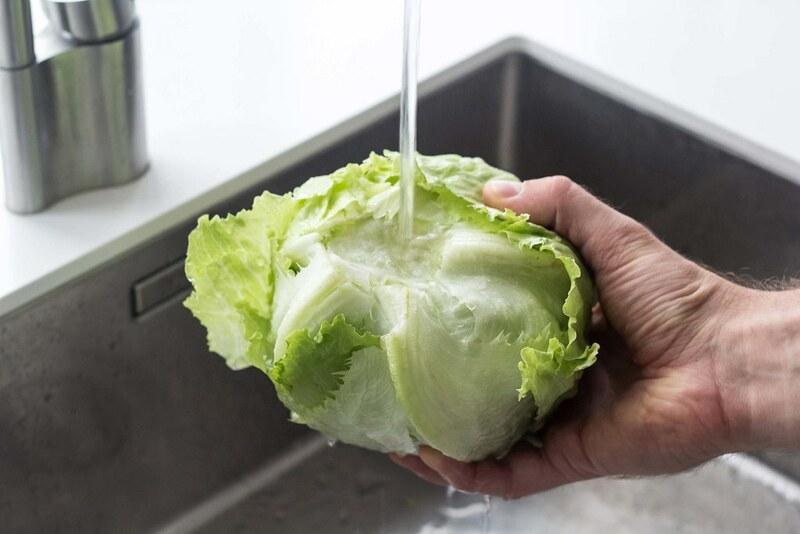 How do I clean and store a head of lettuce? Hi. I normally store my cleaned and shredded lettuce in a plastic bag.